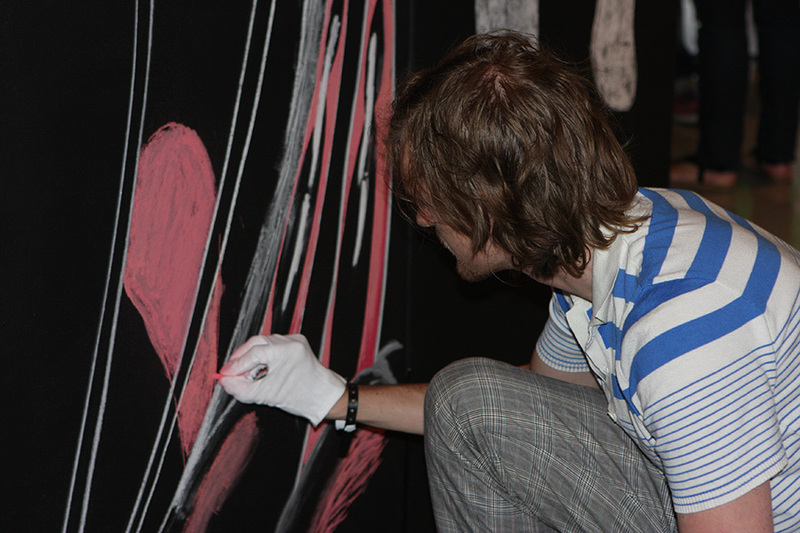 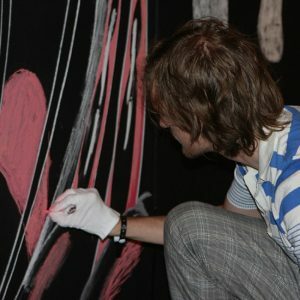 In 2008 Pictoplasma collaborated with Montreal’s Sid Lee Collective to host a memorable Opening Night on the occasion of Pictoplasma’s first NYC Festival. 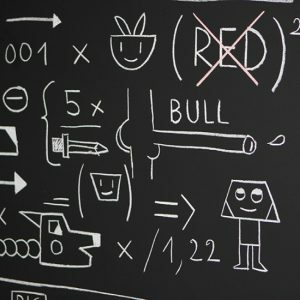 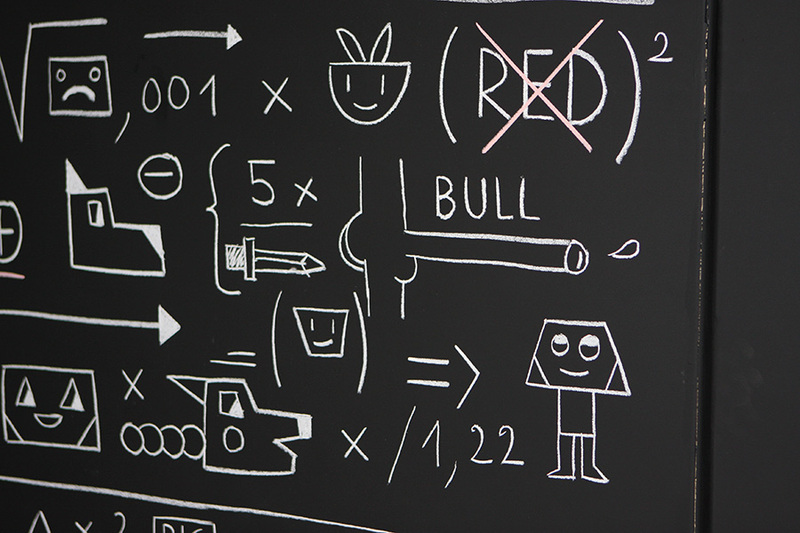 Sid Lee’s headquarters have a long tradition of gathering creative talent and inviting them to customize the black boards spread throughout their office. 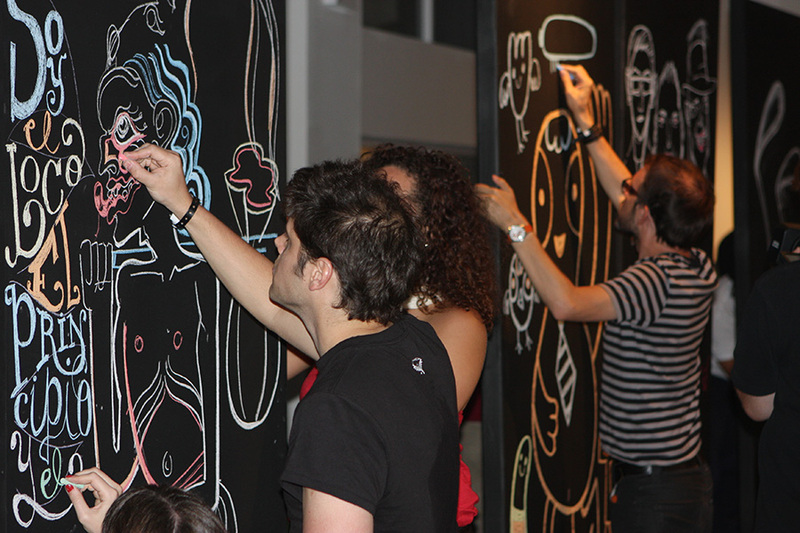 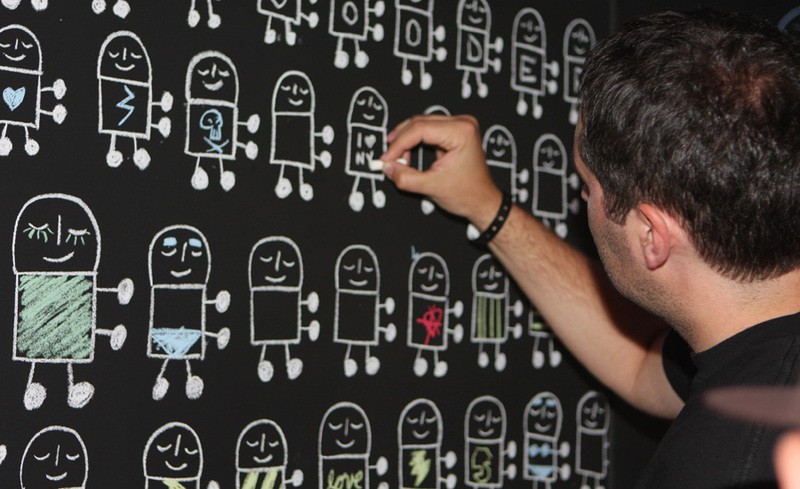 Together with Pictoplasma they set up a huge black board landscape at Manhattan’s central Red Bull Space, inviting the stars of the conference and attendees to give it a go… Participating artists included FriendsWithYou, Fons Schiedon, Akinori Oishi, Motomichi Nakamura, David OReilly, Tokyoplastic, Aaron Stewart and Gangpol & Mit.